Earth Day is just around the corner and in honor of Earth Day I've decided to create a new eco-friendly craft a day in its honor. Recycling to make art or crafts is a relatively cheap and easy thing to do. It just takes some time and creativity to really change something from being a piece of trash into something nice. Most of the time all it takes is supplies you have around the house and perhaps a little hoarding to get enough of a material you might need. 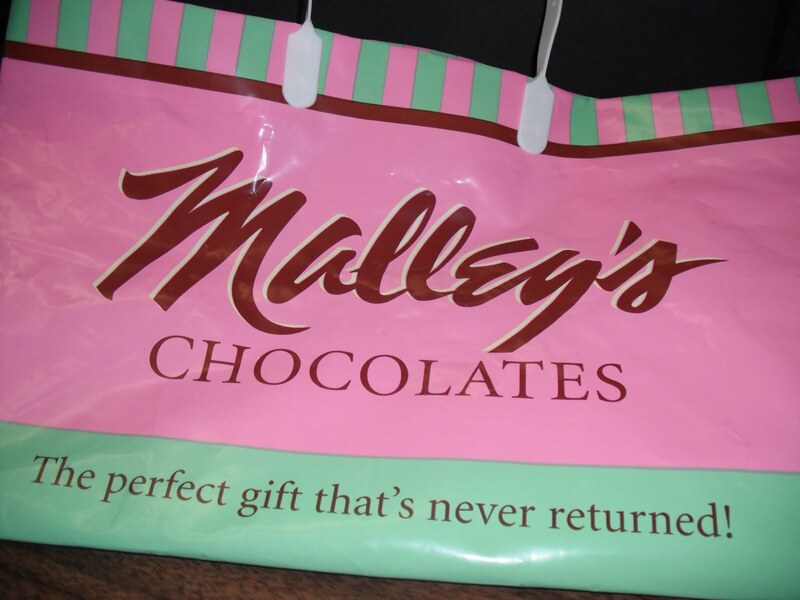 Today's craft is completely brand new and inspired by a lovely plastic shopping bag I got when I purchased Easter candy for myself and a friend a few days ago. First you will need to disassemble the bag. My bag has straps that snap off. I snap those off and set them aside for later. Then remove the cardboard pieces on the bottom and the top edge. Fold up the bag and cut off the bottom seam. This will leave you with a tube of plastic. Grab the handles you set aside and cut off the snapping ends. 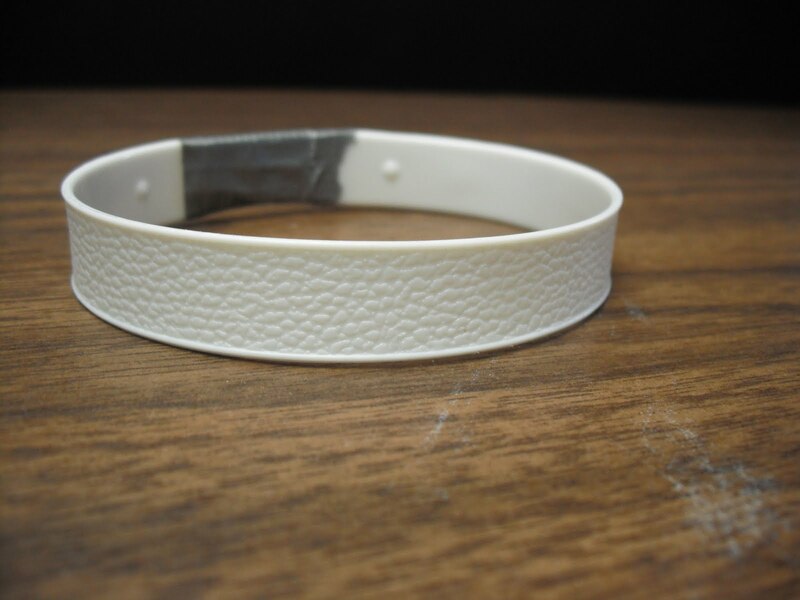 Take the remaining strap and wrap around the widest part of your wrist overlapping the ends. 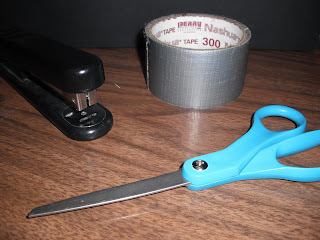 Tape ends together with a piece of duct tape. Check your bangle to make sure it will fit with a little extra space over your hand, but make sure it won't fall off either. Staple the overlap for extra strength. I found my staples stuck out a bit so I used pliers to press it down flat and covered the ends with another small piece of duct tape. 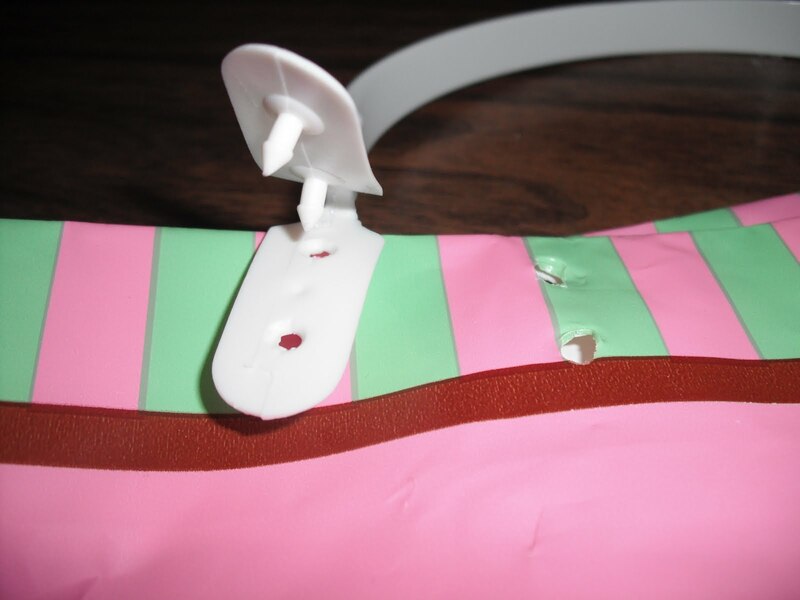 Using your scissors grab your plastic bag and start to spiral cut the section of the bag that you wish to use. If you have not spiral cut a bag before here is a great link on how to do so: How to Make Plarn . I selected the top edge of the pink and green stripes for my design. Once you've cut your bag or section apart you can begin the final steps. 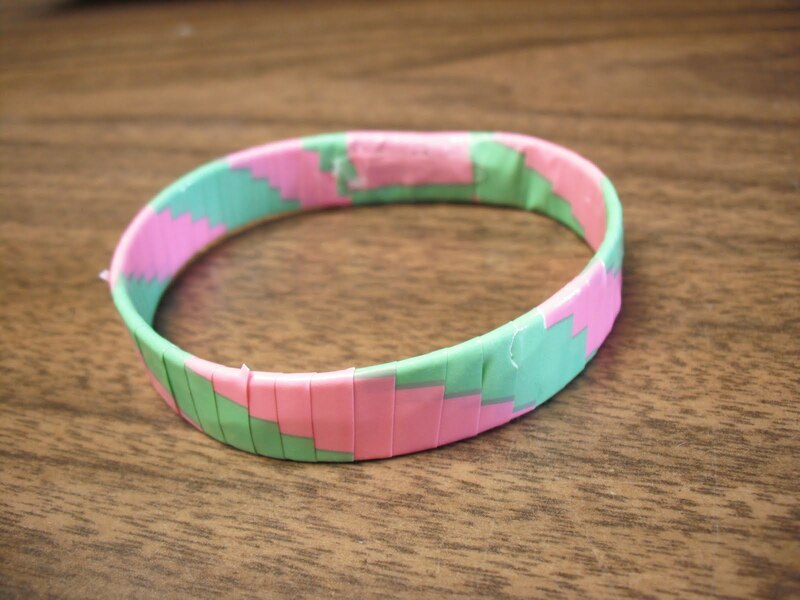 Take your plarn and start to wrap it around your bangle starting at the section you joined together. Spiral wrap your plarn around the bangle, overlapping as you go. You can overlap as much or as little as you wish. 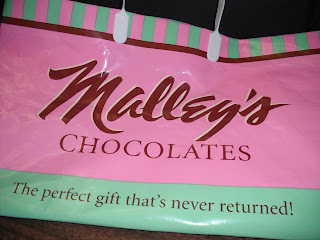 In some areas I overlapped more than others to hide the puncture holes of where the handles were inserted into the bag. This may take some time as you will need to keep pulling the plarn through the center of the bangle. When you reach the end again overlap in that area several times to secure and then cut your plarn so the seam will be on the inside of the bangle. 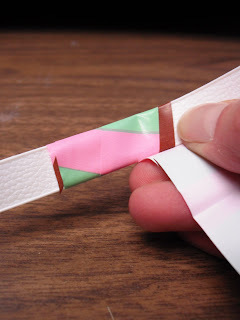 Using your hot glue gun run a thin line under the edge and press it down with an object that is not your fingers. Remember, hot glue is hot! Then voila, you have a new recycled bangle bracelet. For extra security you could cover it with a layer of mod podge to prevent the plarn from slipping. For extra dazzle glue on other objects like buttons or bottle caps.